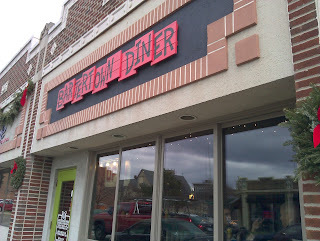 Had lunch with some co-workers today at Bartertown GR. It's a vegan/vegetarian/raw restaurant that has an interesting hipster vibe to it. The food was good, despite my not being a huge vegetable lover. The lentil chili was especially impressive. Since they have a revolving list of specials they'll always have something interesting on the menu. I was impressed that their cash register was essentially a drawer in a table coupled with a iPad/Square combo for credit cards. That Square device is popping up everywhere and it's kind of awesome.